Disclosure: This post is sponsored by Stubb’s who provided me with BBQ Sauce and Rub to make this recipe. All opinions are mine and may differ from yours. All posts may contain affiliate links. Memorial Day and picnic season are upon us! I love this time of the year. It is nice and warm again and smells of BBQ fill the air. Make sure that your BBQs include Stubb’s BBQ Sauce and Stubb’s BBQ Spice Rub. We want to make a great impression when we have our friends and family over for a BBQ. Here are some grilling tips from the expert himself! 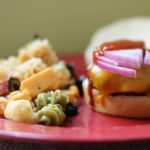 Though Stubb’s BBQ Sauce is delicious on its own, here are some sauces you can make yourself to kick things up a bit. Bang Bang Sauce: Mix together 1/2 cup of mayonnaise, 3/4 cup Stubb’s BBQ sauce, 1 heaping tablespoon of hot sauce and either a tablespoon of honey or some brown sugar depending on what I am cooking. All of us in this family make really good burgers, but Molly made these last night. We couldn’t do them on the grill, so we cooked them in the skillet. They were really good. You can add the BBQ sauce right to the mixture if you’d rather, and you can top them with whatever you like on your burgers. Stubb’s has a lot of recipes on their website, so you are sure to find something you’re going to want to include in this summer’s BBQs! Be sure to try my angel food cake with berries recipe for your dessert! It is nice and light after a huge burger! Oh you know this is going to happen on memorial day right?! I love barbecue anything I have never tried the sauce but it’s definitely going to be on my list to try. Oh grilling during Memorial Day weekend is a must for me too! Love this BBQ sauce. I would also love to try their dry rub. My husband is big on seasoning so he would love this. The rub is really flavorful, so you’ve got to try some! I can’t wait to have burgers this weekend, especially after seeing these pictures. I had never thought of using an onion to clean the grill. That is a great idea and it is so simple too! It’s supposed to rain here! We’ll have to grill in the garage. I have been a long time Stubbs fan, Texas girl here 🙂 Those patties sound delish, we must try this recipe soon. Oh, all you Texas people get to try things before we do lol. Now this sounds like the sort of sauce my other half would put on just about every meal. I love that you can use it for other sauces well. I do too. Versatility is great in cooking! My husband absolutely loves BBQ sauce. He puts it on everything. I not heard of this brand but it looks like good quality BBQ sauce with a nice, thick texture. OMG these look so good. I cant wait to bring out the grill this weekend. I love a good BBQ burger for sure. 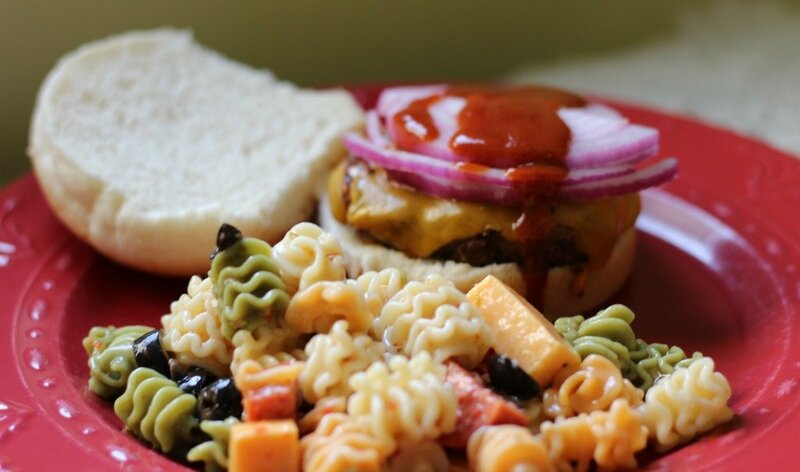 This right here is exactly what a three day weekend is all about, Grilling some yummy food like these hamburgers, and of course the pasta salad is always a hit too! Definitely! Pasta salad is the best! Great tips! I love the thumbprint trick. Great burgers every time! I love these tips too! You’ll have to look! It’s really good! Yum! your burgers look delicious! I love Stubbs Barbecue Sauce, but the spice rub is new to me. I will be on the look out for it next I am in the grocery store. Yes, be sure to look for it! The Stubb’s BBQ Sauces and Rubs I have not heard of but they sound amazing. Cooking out is always what our family does during the Memorial day weekend. 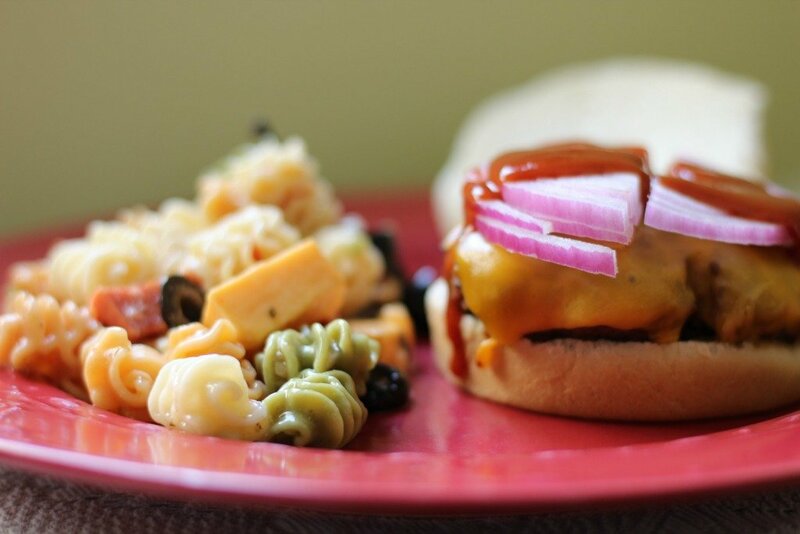 These burgers my family would indeed love and I will have to make these for them for sure. Thanks for shairng the recipe. These look really amazing and delicious. Would love to try these, also the pictures are making my mouth water. I am going to get some and try it with the same recipe. Stubb’s is great on chicken. I love that chicken marinade. I have used it on several occasions. It is indeed that time of the year again. Time to break out the Stubb’s! That sounds really good! I’ve have to try it on chicken next! I LOVE a good BBQ rub/sauce! 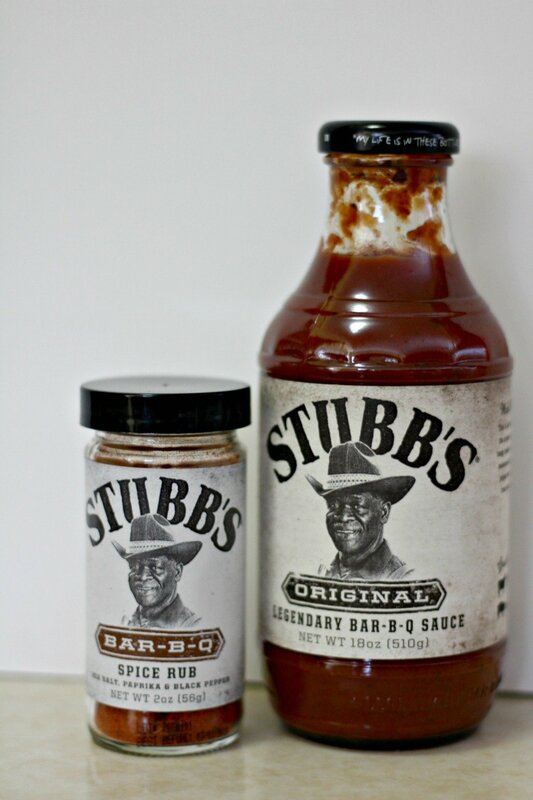 I’ve tried this brand (Stubb’s ) before and it’s awesome! yum! Yes, summer is the best!